Apologies on the not so great outfit photographs, I’m still figuring out the whole outfit poses and photographs etc. 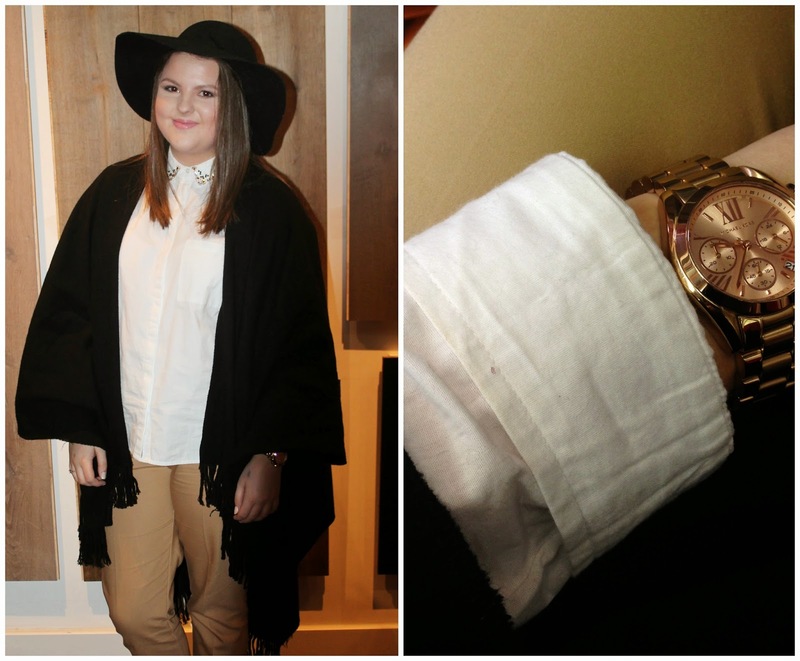 What I wore: Hat – Brandy Melville // Shirt – Topshop (£34) // Cigarette Trousers – Topshop (£30) // Cape – Topshop (£28) // Watch – Michael Kors (£189). 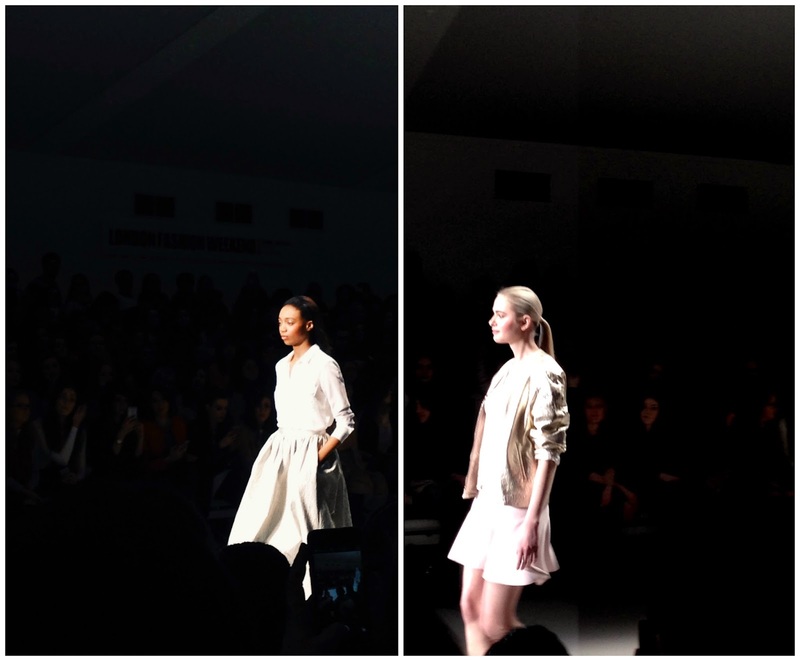 After many years of wanting to attend London fashion week/weekend, on Saturday I finally got the privilege of going to see the Trend show at Somerset House, presented by Angela Scanlon. 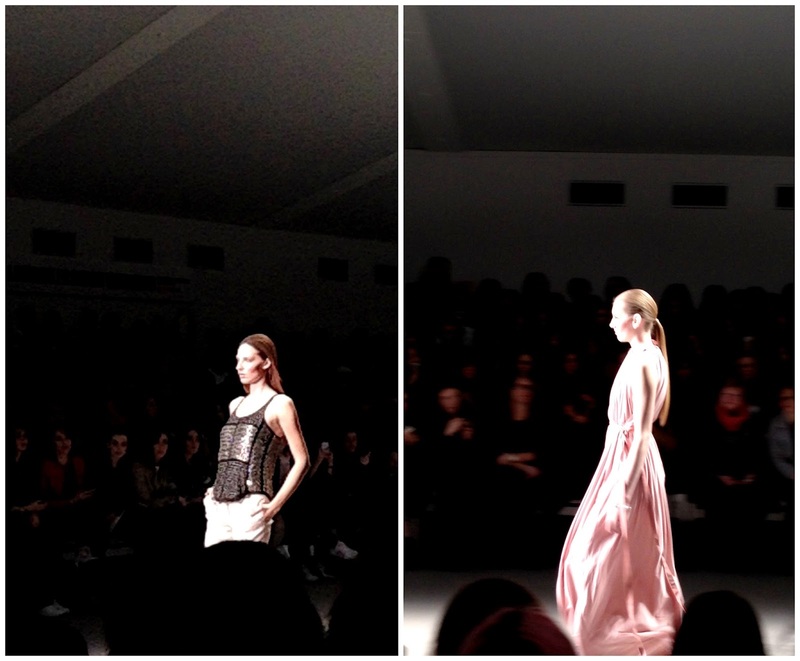 The show consisted of four main trends; Hyper Florals, Shimmer and Shine, Make It Monochrome and that Seventies show. After the show I took a walk around Somerset House, went to the Maybelline pop up store where they had free makeovers and makeup master classes. I had a look around the pop up store which showcased a whole selection of brands that are sold on TheOutnet.com, it also had another Maybelline counter and a Toni& Guy salon. Make It Monochrome: This was my favourite trend, obviously. 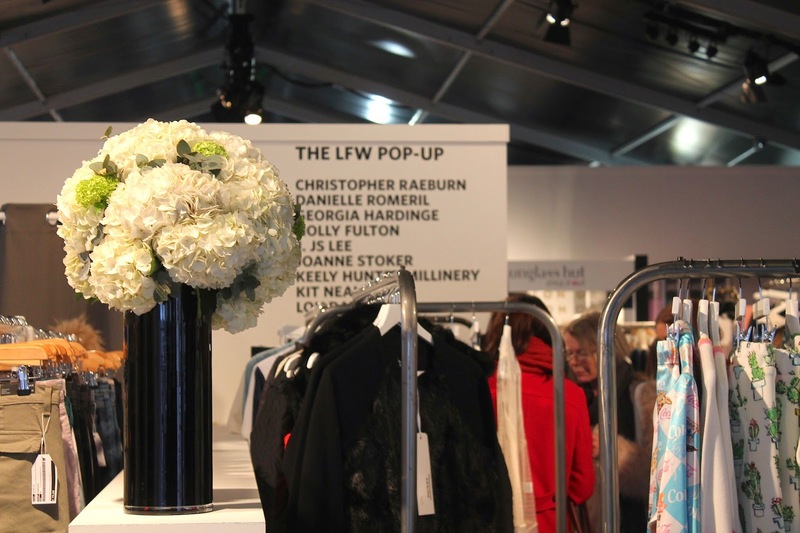 I love wearing a mixture of black and white and that is exactly what I wore for the event. “Nothing beats black and white! Colour combination that never fails to pack a punch, Alexander Wang and 3.1 Phillip Lim made a strong argument for monochrome, with graphic prints, oversized stripes and bold two-tone finishes taking over the runways. Top tip: go head to toe for maximum impact – accessories included!”. Hyper Florals: I love a bit of floral and this season is all about the oversized patterns and embellishments. “Keep accessories to a minimum and let the florals do the talking”. “The collection were in full bloom this season, as beautiful botanicals embellished everything from ankle-grazing dresses to mix-and-match separates. 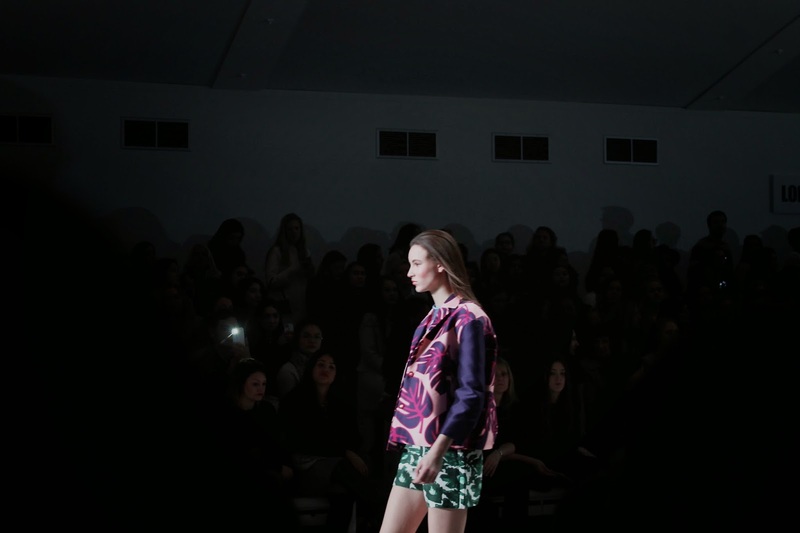 Florals feel brand new thanks to oversized petals and pops of colour at Marni, Christopher Kane and Peter Pilotto”. Shimmer & Shine: Who doesn’t love a bit of glitter? This seasons trend adds subtle glitter into daytime appropriate wear, glitter shouldn’t just be for the evenings. “The new season calls for a bit of razzle dazzle, but these are metallics like you’ve never seen before. In a season where grown-up glitter reigns supreme, Alexander Wang and Isabel Marant let the light in with blink-and-you’ll-miss-them sparkles, radiant pastels and glimmering sequins. Work the trend into your day time wardrobe for style that shakes things up”. That Seventies Show: Flares are back, but fear not this season shows us how to wear them. They may not be for everyone, are you going to give flares another go this season? “An abundance of suede, crochet and lace on the runways can only mean one thing – the seventies are back! SS15 sees flower child favourites reimagined with a newfound elegance. Look to Diane von Furstenberg’s neutral hues and Issa’s ever-so-delicate details as a subtle way to work the look”. 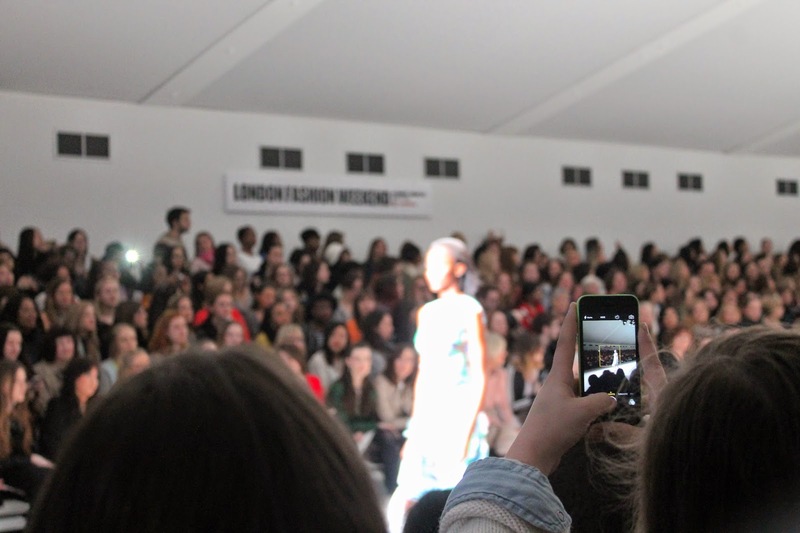 I have had the best time at London Fashion Weekend and I can’t wait to get stuck in next season. Have you visited any shows this time? Do you want to?